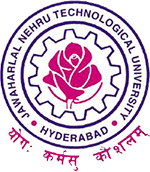 JNTUH MCA Time Table 2019: JNTUH MCA 1st, 2nd, 3rd, 4th, 5th Semester Regular/Supply Exam Time Tables April/May 2019, jntu hyderabad mca i, ii, iii, iv, v sem R17, R15, R13, R09 end exam time tables 2019. JNTU Hyderabad has announced MCA 1st, 2nd, 3rd, 4th, 5th Semester R17, R15, R13, R09 Regular/Supplementary Examination Time Tables April/may 2019. Students can download their JNTUH MCA 1st Sem Time Table, JNTUH MCA 2nd Sem Time Table, JNTUH MCA 3rd Sem Time Table, JNTUH MCA 4th Sem Time Table, JNTUH MCA 5th Sem Time Table below. sir please inform me ..when will be the mba final year project viva date….